Should we actually be afraid of sharks? I was recently watching the blockbuster-hit “Jaws” the other day and it got me thinking about just how scary they actually are. The idea of the shark makes you tremble in your boots, but are we over reacting to them? The null hypothesis of this post is that sharks are no more dangerous than any other creature, either on land or in water. 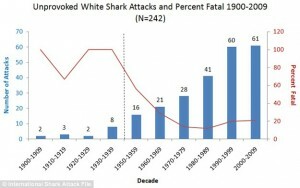 And the alternative hypothesis is that sharks are far more dangerous than your average creature. 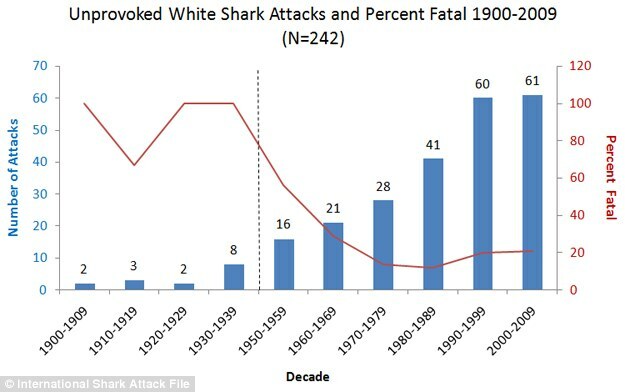 If we are to reject the null hypothesis, we would need to find significant proof that the sharks pose a larger threat than that of any other creature or object that might pose an immediate threat to a persons life. 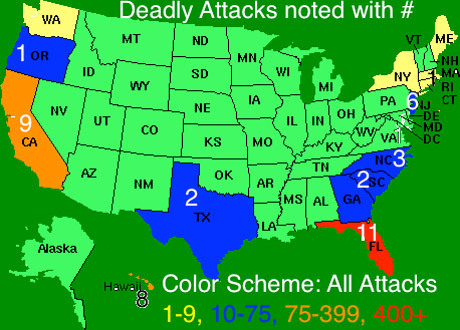 A good indicator of threat level is how much a person is attacked/put in harms way because of the creatures, because even attacking a person 1 time is a lot different than attacking people 50 times. On average, in the United States, sharks injure 13 people. If you take the entire population of the United States which is over 323 million people, sharks roughly injure .000003% of the United States population. Compare that to the number of people hurt by toilets per year, which is roughly 43,000 people, which is about .013% of the population of the United States. There are also different factors that you have to take into consideration when you look to compare these statistics though, and looking to reject the null hypothesis in general. For one, reverse causation doesn’t really apply to this situation because the danger is a by-product of the attacks. But there could also be confounding variables at play, the most noticeable would be opportunity. Everyone uses the toilet, which increases likelihood of injury, compared to sharks who are confined to certain bodies of water. This entry was posted in Uncategorized on December 1, 2016 by Corbin Kennedy Miller. I think it is safe to say that sharks are no more dangerous than any other animal in the wilderness. In fact, Traveler magazines list of the top 10 most dangerous animals does not include a single shark. Snails, mosquitoes and frogs are all statistically more dangerous than any shark we’ve come across. I think that hollywood gave sharks a bad reputation, and in reality they are no more harmful than any other animal. There is not much evidence to support the null hypothesis that you mentioned, there fore i think it is safe to say that the claim that sharks are dangerous is the alternative.